The Baby Eva Teddy Bear Foundation – Primary education, secondary school scholarships, clean drinking water and quality sanitation facilities to children in tough situations! 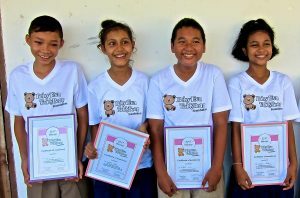 The Baby Eva Teddy Bear Foundation provides primary education, secondary school scholarships, clean drinking water and quality sanitation facilities to children in tough situations! We believe in universal education in our lifetime and that a good education is the foundation for a better tomorrow. However, to make this a reality, the children need access to proper schoolbooks and school supplies. This is why we chose not only to donate teddy bears, but also schoolbooks and supplies to the children in our schools, through our “Bear&Book-drop’s”. So we provide a range of schoolbooks and supplemental programming to provide quality learning. We also create engaging learning materials to address the lack of sufficient resources in the classroom. In 2016 we also started our “Secondary School Scholarship” for our top students. A “Secondary School Scholarship” gives students the resources they need for 3 full years of school, with the option of 3 more years of higher education. Scholarship packages are made to cover tuition costs, school materials and necessary school uniforms. The same year we also launched our “Water&Hygiene-program”. Through the program we supply clean drinking water, toothbrushes, quality sanitation facilities and hygiene-programs to our schools. We teach our students about WATER, SANITATION and HYGIENE to keep them healthy, happy and ready to learn. If you want to make the world a better place for our students you can help by spreading the word, liking us on FACEBOOK or donate schoolbooks, supplies or scholarships. – CLICK HERE to see how YOU can help! 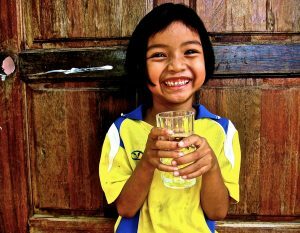 Join us on our mission to make access to safe drinking water and education a basic human right!